December 20, 1930-October 14, 2017. 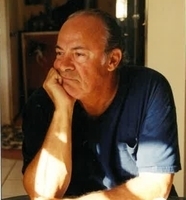 Thomas P. Saccone (Tom), age 86, passed away peacefully at home surrounded by loved ones and his beloved paintings, which he considered an extension of himself. He was an accomplished artist. Tom was the beloved life partner of Olga de la Victoria for 30 years. 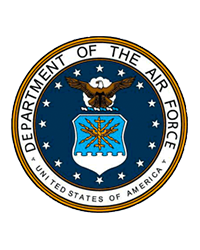 He served in the Air Force 1951-1955. The benefits of service allowed him to attend college and he went on to earn advanced degrees in Art Education and Library Science. He started his 37 year career as an Art teacher and retired from the Newtown Board of Education as a School Librarian. Tom retired to West Palm Beach, Florida in 1992 and immensely enjoyed and celebrated the quality of life it afforded him: time to paint, his "passion"; daily visits to the beach; being bronzed from the sun; attending Art Fairs; travel and many fun activities with Olga and friends. Tom's enthusiasm could have qualified him to be a spokesperson for the Florida Tourist Board. He leaves a legacy of children, grandchildren, and his creative presence in his paintings and illustrated poetry books. Tom will affectionately be remembered for his frequently repeated jokes and stories. When his name is mentioned it brings smiles to family and friends because of his wit and humor. Tom was the devoted son of the late Peter and Mary Feola Saccone; beloved father to his late son Matthew Saccone, dear brother to the late Louis J. Saccone. Tom is survived by his partner Olga de la Victoria of Florida, his children (from a previous marriage) Paul and Daniele Saccone of Michigan, James and Monica Saccone of Minneapolis, and John and Kristine Saccone of Trumbull. Also his grandchildren, Celine, Alanna, Andre, Tia, Cooper and Evan, all of whom will lovingly remember "Grandpa Bud" and their fun visits to see him in Florida. His siblings Rose O'Donnell, Paulette Corner, Peter Saccone and wife Connie, and Sylvia Saccone the widow of Louis, as well as several nieces and nephews. Family and friends loved him dearly and will remember the many laughs and good times shared with him over the years. Tom will be missed. Rest easy and keep painting for the "Big Guy" as you often referred to Him. There will be no viewing hours. Graveside services including military honors and interment will take place at noon on November 10, 2017, at Huntington Lawn Cemetery 24 Lane St. Shelton, CT. 06484, under the direction of James T. Toohey & Son Funeral Home, Shelton, CT.